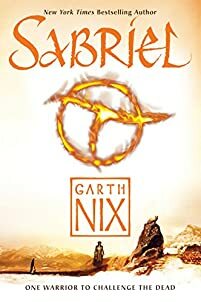 When I saw that Sabriel was on sale for $1.99 on Amazon today, it brought to mind just how much I had enjoyed the book. It is advertised as YA, but it is much more than that. 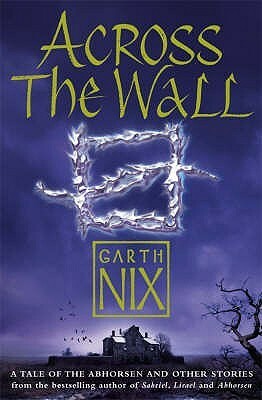 Anyone who is knowledgeable of Garth Nix’s work knows he is a wonderful writer, and the Abhorsen series proves that over and over again. 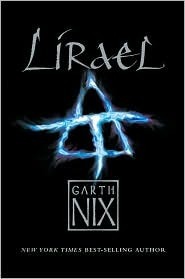 I read Sabriel and Lirael back when they were first published, and I remember loving them, but I never wrote reviews. I simply wasn’t doing that back then. 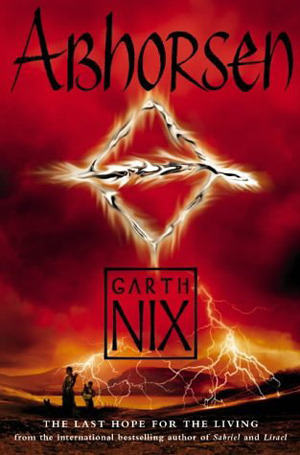 Some time I will read all the books and post reviews, but for right now, if you haven’t read the Abhorsen books, I highly recommend you pick up Sabriel at this price and give it a read when you are feeling like reading high fantasy. It is wonderful, and you will no doubt be addicted! Click the titles of each book to go to the Goodreads site, except for the Sabriel title, which will take you to Amazon to pick up your copy at the special price of $1.99. Dog, Lirael must undertake a desperate mission under the growing shadow of an ancient evil. An old evil has arisen – freed from its subterranean prison and seeking to escape the binding silver hemispheres which prevent it from finally unleashing its terrible powers. 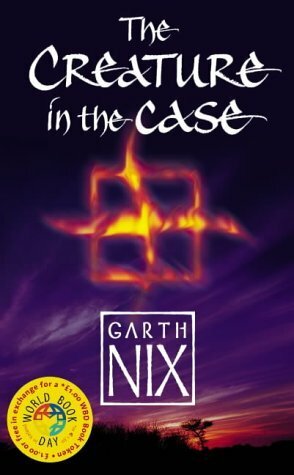 Then answer must be found somewhere in Life or Death – but can a former Second Assistant Librarian possibly discover the means to defeat the DIt is six months since the cataclysmic events of Abhorsen, six months Nicholas Sayre has spent recovering in the Ancelstierre. But he is desperate to return to the Old Kingdom, and at last has the chance. All he has to do is spend a weekend in a country house as a favour for his Uncle Edward, Chief Minister of Ancelstierre. That seems easy enough, till he discovers that the house holds many secrets, and the worst of them is a relic of the Old Kingdom, too far from the Wall for any spark of its magical life to reignite. Unless someone finds a way to unleash its power…. estroyer…before it is too late? It is six months since the cataclysmic events of Abhorsen, six months Nicholas Sayre has spent recovering in the Ancelstierre. But he is desperate to return to the Old Kingdom, and at last has the chance. Unless someone finds a way to unleash its power…. If a writer tells the stories, do the stories tell the writer? Thirteen stories from the international bestselling author, including the award-winning Old Kingdom story Nicholas Sayre and the Creature in the Case. Nicholas Sayre will do anything to get across the Wall. Thoughts of Lirael and Sam haunt his dreams, and he has come to realize that his destiny lies with them, in the Old Kingdom. But here in Ancelstierre, Nick faces an obstacle that is not entirely human, with a strange power that seems to come from Nicholas himself. The rest of the collection includes two widely different takes on the Merlin myth, a gritty urban version of Hansel and Gretel, a heartbreaking story of children and war, a western, a traditional tale with a twist and a hilarious choose-your-own-adventure spoof. 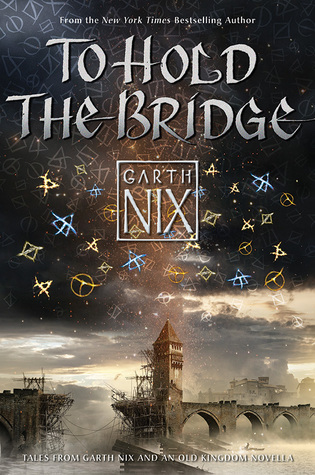 Each story is introduced by Garth Nix, giving context, anecdotes and a glimpse into his creative process. This edition includes a bonus section of frequently asked questions and answers. 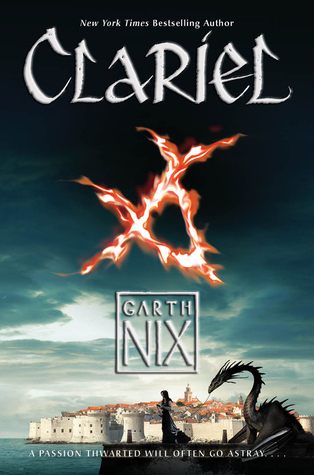 According to Nix’s author’s note at the end of “Clariel”, this novel will be about Nicholas Sayre and Lirael following the events of the short story “The Creature in the Case”.